You wake up and are you about to go for an early swim but ugh… the pool is green! You immediately think; Algae Attack! Water is balanced, copper levels good, pool is clean… Your pool water seems to be of good quality but you see something completely opposite. What is going on? Don’t treat it as Algae yet. It may seem algae but it might not be. Before you try to treat it, make sure to check the below water interior of the skimmer box. If it isn’t slippery/slimy, then it is probably not algae but Pollen. Spring and early summer is Pollen time so stay aware. When pollen gets into your pool it is hard to get out because the particles are too small to catch for most filters. Simply use some clarifier. A clarifier will coagulate the pollen particles so that they can be caught by the filter or the skimmer box. We recommend our Bionizer Blue clarifier. It is double the strength of similar products and a must have for every pool. 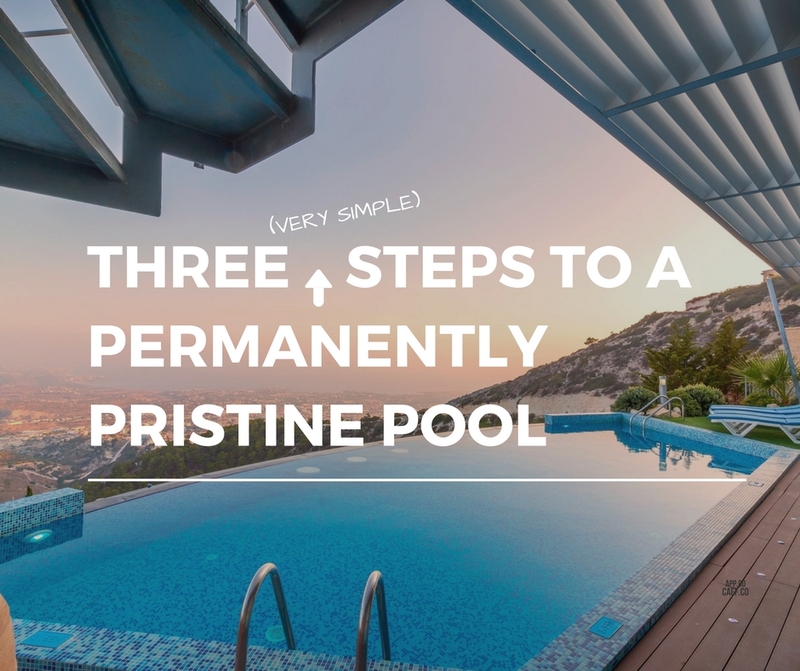 The pool water will regain its clarity and sparkle like never before. Alternatively, Bioguard “Polysheen Plus”, Focus “Liquid Flocc” or Lo-Chlor “Ultra Clear 4 in 1” clarifier are all also good to use. 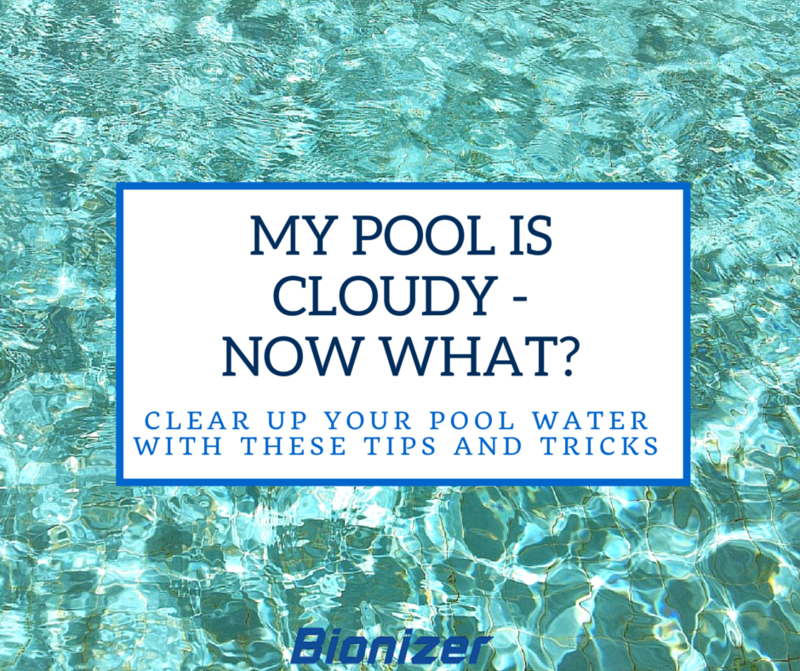 Make sure the clarifier/flocculent that you use is Polymer based and that it doesn’t pull metals from the water in your Bionizer pool. 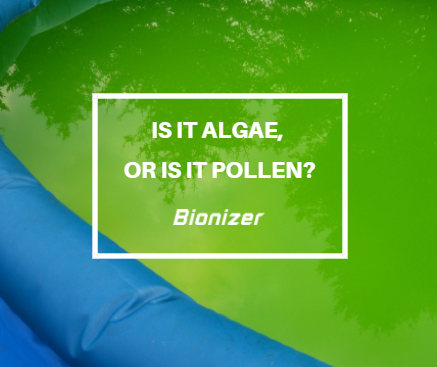 Use the clarifier according to instructions on the bottle and the ‘fake algae’ will be gone. Beware: Don’t treat the pool water with liquid chlorine as it will only bleach the pollen for a week and then it will be visible again. 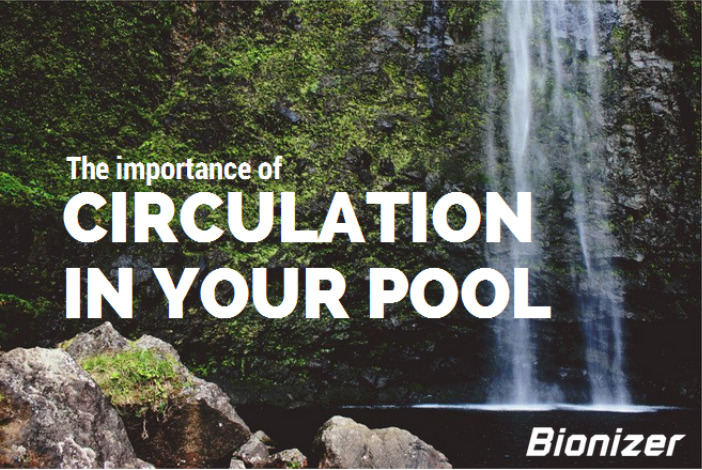 After treating your pool with a clarifier you should be able to enjoy your pollen free pool within hours!